Brondby have gone through a barren spell of nine years since they last lifted a major trophy but they can move a step closer to reaching the Danish Cup final by winning the first leg of their semi-final away to Midtjylland. 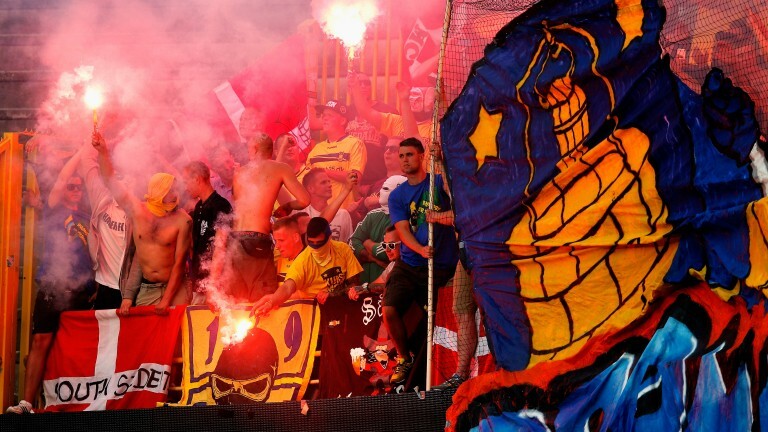 From the mid-1980s to the late 1990s Brondby were the dominant club in Danish football but they have gone through a tough period since the turn of the millennium. However, they have had a better season in 2016-17 and are in second spot, 17 points ahead of third-placed Midtjylland. Brondby are still nowhere near the level of leaders Copenhagen, who are 15 points clear at the top and need just one more point to win the title for a second successive season. But they are guaranteed second place, their highest finish since 2006, and approach the first leg of the cup semi-final full of confidence after winning seven of their last nine matches. Midtjylland were champions for the first time in their short history (they were formed in 1999) in 2014-15 but they have had a tough season. They lost a reliable source of goals when Danish international attacker Pione Sisto joined Celta Vigo last summer and have often been without key duo Tim Sparv and Rafael van der Vaart due to injuries. Sparv (knee) is ruled out for the season but Van der Vaart could be involved after being an unused substitute for Saturday's 3-1 victory at home to Nordsjaelland. Van der Vaart is capable of producing moments of magic but the main threat from the hosts comes from Nigerian striker Ebere Onuachu, who has scored nine goals in his last ten appearances. Despite Onuachu's best efforts, Midtjylland have been inconsistent - winning three of their last 13 league games - and may struggle to hold their own against a Brondby side who are on an impressive run.